Only in recent years has South Africa’s gems – beyond safaris and braai – come to the attention of the savvy traveller. With an eclectic mix of culture, homegrown wines and more outdoor activities than you could dream of, South Africa is a destination like no other. South Africa is a mecca for artists and crafters from all over Africa from Mozambique to Zimbabwe and as far afield as the Congo. Visitors can pick up beautiful arts such as vibrant oil paintings and stone sculptures as well as indigenous crafts like handwoven baskets and vibrant sculptures, everywhere from local markets to road-side stalls. For fine art lovers, there’s plenty on offer, too. The Goodman Gallery, which has venues in Johannesburg and Cape Town, was established over 50 years ago and was one of the key galleries in the 1985 Art Against Apartheid exhibition. Today, it is considered one of the most influential art galleries in Southern Africa with a focus on emerging and established artists from the African continent, or those who engage in African themes. Stellenbosch Art Gallery, located about an hour from Cape Town in South Africa’s premier wine region, specialises in sculptures, ceramics and handmade glass. The area itself is a worthwhile stopover: Stellenbosch is the second oldest town in South Africa and is home to some of the most beautiful examples of Cape Dutch, Georgian and Victorian architecture. And what about that wine? Stellenbosch is best known for its exceptional reds – the Cabernet Sauvignons are full-bodied with intense colour and deep aromas. Knysna Fine Art, located on the scenic Garden Route, has an eclectic mix of art, photography, sculpture and ceramics, as well as rotating exhibitions from local and international artists. Past exhibits include Pretoria-born Lionel Smit known for his portraiture and sculpture and award-winning Stilbaai artist, Hannalie Taute. Move over Italy – South Africa may not be one of the world’s premier foodie destinations, but it should be. Over the centuries, the amalgamation of different cultures – including African, Dutch, German, French, British and Cape Malay – has resulted in a mix of dishes that are particular to South Africa. Like many destinations, sometimes the best way to understand a culture is to try the most popular dishes. The first, and perhaps the simplest, is braaibroodjies, or grilled sandwiches. There are plenty of variants on this humble toastie, but a cheese, onion and tomato braaibroodjies is the original and best. For a taste of Cape Malay, try denningvleis, a lamb dish flavoured with spices and one of South Africa’s oldest dishes, or bobotie which is similar to moussaka and contains a delicious mixture of curried meat and fruit with a creamy egg-based topping. When dining in South Africa, copy the locals and experience a shisa nyama. Translated from Zulu, this literally means ‘burnt or cooked meat’. In practice, its when friends gather around a fire and the communal meal, usually comprising of meat, is cooked over coals. If you don’t score an invite from a local, the best place to take part in shisa nyama is in the township of Soweto near Johannesburg. Where there is a healthy foodie scene, an even healthier wine scene usually follows. Similar in style to Australia or California, but at a fraction of the price, South Africa’s wine regions deserve a place on any itinerary. 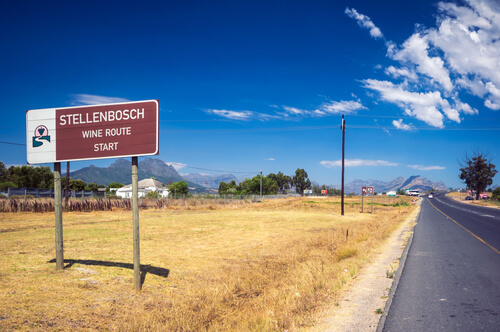 The most famous of these, after Stellenbosch, is Franschhoek, located about an hour from Cape Town. Not only is it home to some of the best cellar doors in the country, the European-inspired towns, galleries and cafes, and picturesque landscapes make it a charming place to visit. The distant Cape Dutch style architecture is distinctly grander than any Australian or New Zealand wineries. 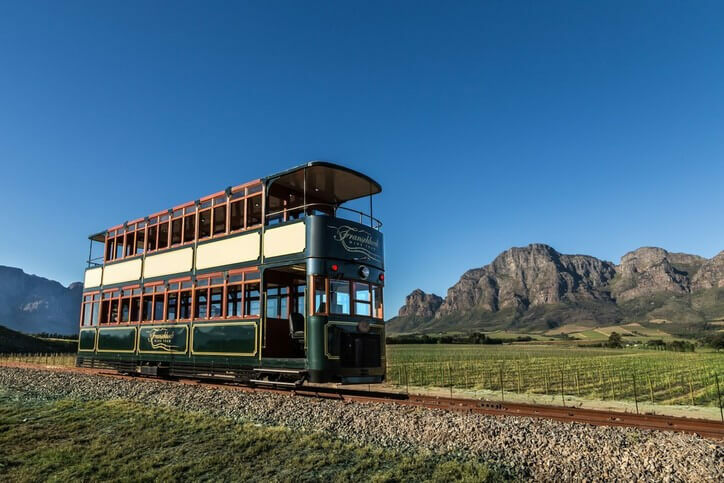 The Franschhoek Wine Train is as dreamy as it sounds: the hop-on, hop-off tram allows visitors to explore up to six wineries in a day and there are five wine tram routes to choose from – pure genius, right? Regardless of your thrill-threshold, South Africa has options aplenty – get your heart racing atop a mountain or put on your boots and take the scenic route. For adrenaline junkies, Bloukrans Bridge is your place. 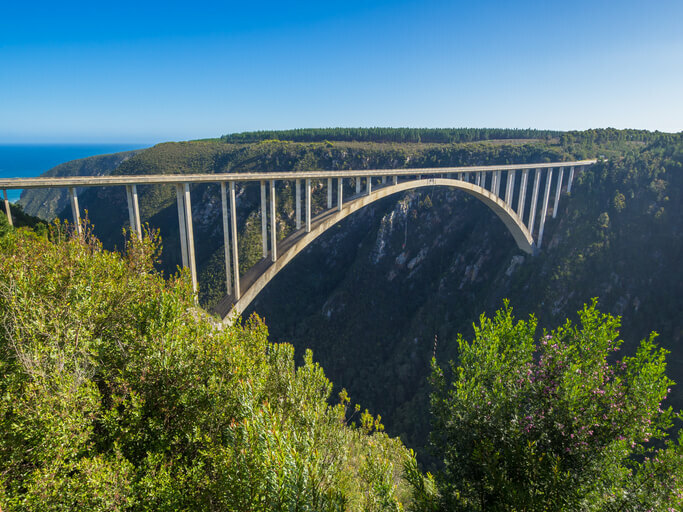 Located on the Western Cape, the world’s third-highest bungee jump is a dizzying 216 m high. Prefer to keep two feet firmly on the ground? Walk the Bloukrans Bridge instead, it's free for friends or family accompanying the bungee-jumper. If you love hiking, pop on your boots and head for Table Mountain. Towering more than 1,000 m above Cape Town, it’s a breathtaking experience in more ways than one. There are plenty of trails of varying levels and durations, the most popular being the Platteklip Gorge trail. Depending on your fitness level, the zig-zag hike can take 1.5-3 hours one way. Once you reach the top, you can either hike back down or catch the cable car. For an extra dose of adrenalin fun, abseiling from the summit is a once-in-a-lifetime experience. With the Atlantic Ocean directly below your feet, the view, unsurprisingly, is like nowhere else in the world. The Pipe Track trail, while less thrill and more chill, doesn’t skimp on breathtaking views. Take in the Atlantic Ocean and Lion’s Head, a 669 m high peak next to Table Mountain, at your own pace. This route suits all fitness levels as it goes around Table Mountain rather than up to the summit. If you prefer aquatic pursuits, head to Gansbaai, about two hours from Cape Town and get up close and personal with the local sharks. While many will baulk at the idea, cage diving in Gansbaai is one of the most popular reasons for a visit: it has the highest concentration of great whites in the world so if you’re going to do it, this is the place. A visit to South Africa is not complete without seeing some wildlife. 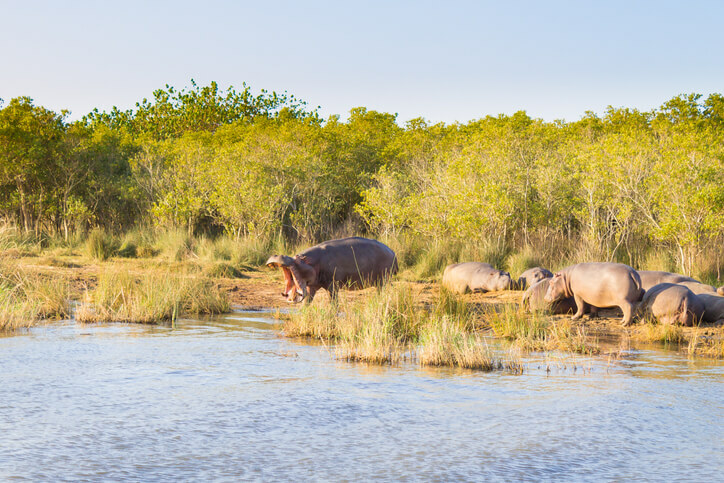 St Lucia, in KwaZulu-Natal in northeastern South Africa, is the best place to see hippos in the wild. 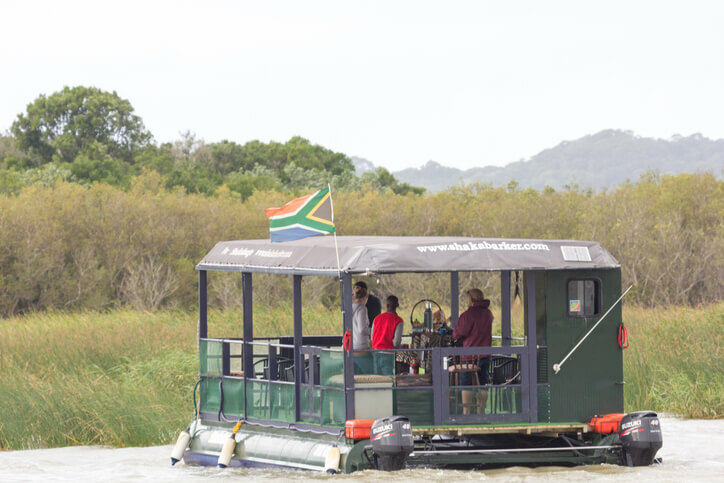 In the iSimangaliso Wetland Park, a UNESCO site, you can view crocodiles and hippos in their natural habitat. The kayak expedition, which runs for 2.5 hours, is a hearty mix of both the tranquil and the terrifying. 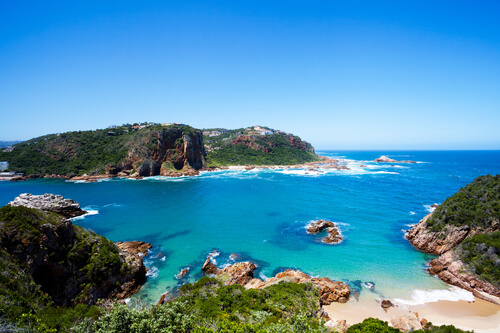 If you’re travelling the world-famous Garden Route drive in the Western Cape (an adventure in itself), be sure to stop in Knysna. 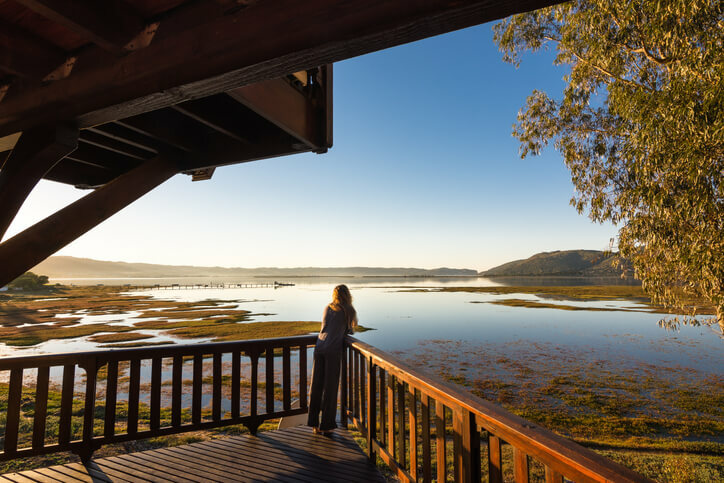 On the banks of the Knysna lagoon is a small marine estuary that is home to seahorses. Hire a local guide who will show you the best places to snorkel and spy on these enchanting little creatures as they go about their day.